11. Any reference to a statutory provision shall be construed as a reference to that provision as amended, re-enacted or extended at the relevant time. 1. These Terms and Conditions shall apply to all contracts for the sale of Goods by the Seller to the Buyer to the exclusion of all other terms and conditions including any terms or conditions that the buyer may purport to apply under any purchase order, confirmation of order or similar document. 2. All orders for Goods shall be deemed to be an offer by the Buyer to purchase Goods pursuant to these Terms and Conditions and shall only be accepted by means of the Seller's standard acknowledgement form. 1. The Price shall be that in the Seller's current List Price, or such other price as the parties may agree in writing. The Price is inclusive of VAT or any analogous sales tax, carriage, freight, postage or insurance costs. 2. Payment of the Price and VAT and any other applicable costs shall be made payable upon order of Goods. o Major credit/debit cards as listed: Mastercard, Visa, Switch, Solo, Visa Delta. 1. The quantity and description of the Goods shall be as set out in the Buyer's Purchase Order. 2. The Goods shall be required only to conform to the specification in the Buyer's Purchase Order. Photographs are for illustrative purposes only and may not exactly match the product itself. 1. Unless otherwise agreed, delivery of the Goods shall take place at the address specified in the Buyer's Purchase Order on the Delivery Date and the Buyer shall be deemed to have accepted the Goods upon their delivery. The Buyer shall make all arrangements necessary to take delivery of the Goods whenever they are tendered for delivery. 2. The Delivery Date specified by the Seller is an estimate only. Time for delivery shall not be of the essence of the Contract. 3. If the Seller is unable to deliver the Goods for reasons beyond its control, then the Seller shall be entitled to place the Goods in storage until such times as delivery may be effected and the Buyer shall be liable for any expense associated with such storage. 4. The Buyer shall be entitled to replacement Goods where the Goods have been damaged during transportation. The Buyer must notify the Seller of the damage within 24 hours of delivery. 5. Risk shall pass on delivery of the Goods to the Buyer. 1. The Seller warrants that it has good title to the Goods. 2. Title to the Goods shall not pass to the Buyer until the Seller has been paid in full for the Goods. This and all guarantees must be agreed to in our terms and conditions upon placing your order. This guarantee does not cover normal wear and tear, cuts or scratches, or damage caused by impacts or accidents. This guarantee does not apply if the product has been placed outdoors or in a humid environment. This guarantee does not cover consequential or incidental damages. The product has been misused which includes but is not limited to - abnormal loads , staining or it is in an unsanitary condition, extremely high temperatures or cold temperatures. Notice of defects has not been given within the specified period. If the mattress or topper has been placed on a bed which damaged or doesn't support the mattress /topper correctly. 1. Where the Goods have been manufactured by the Seller and are found to be defective, the Seller shall repair, or in its sole discretion, replace defective Goods free of charge, subject to the following conditions. 2. The Buyer notifying the Seller of the defect within 5 to 7 days of the defect becoming apparent. 3. Such notice being served within 30 days of delivery after 30 days it is the buyers reasonability to prove the defect. 4. the defect being due to the faulty design, materials or workmanship of the Seller. 5. Where the Goods have been manufactured and supplied to the Seller by a third party, any warranty granted to the Seller in respect of the Goods shall be passed on to the Buyer. 6. Subject to the Seller's liability the Seller shall be under no liability whatever to the Buyer for any loss (including loss of profit), costs, damages, charges or expenses incurred by the Buyer or for any loss or damage to or caused by the Goods. 7. If you need your product exchanging because you placed your order incorrectly there will be a standard charge of 15% of your order to rectify the problem. 8. 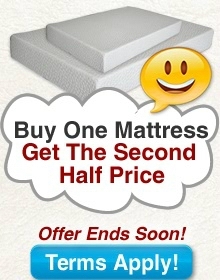 Our Memory foam Mattresses come with 2 guarantees: a 30 day money back guarantee and a 5 year replacement guarantee. 1. 30 day money back guarantee: This Guarantee applies to memory foam mattresses only: If after 30 days you no longer want your mattress. 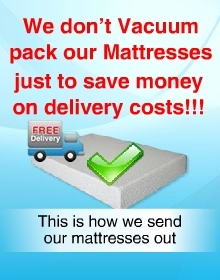 Please contact us to send your mattress back under the 30 day money back guarantee, to return your mattress. there will be a collection charge. There will be no charge if you return the mattress yourself. Before returning the mattress you must read our returns and refunds policy and follow our procedures or your right for a refund will be affected. All returns must be sent back complete with original packaging. 2. 5 Year Guarantee: Our 5 Year Guarantee applies to our memory foam mattresses only and excludes the mattresses covers, The guarantee covers physical defects .The guarantee does not cover normal changes in hardness or properties that do not affect the pressure-relieving properties. The guarantee is valid only if the mattress is used and handled as described. If a claim is made under the guarantee, you must present the invoice as proof of purchase. Please note that our Starter Range and Bronze range Memory foam mattress ranges only come with a 30 day money back guarantee and a 12 month replacement guarantee. After the second year you will have to pay 70% towards the cost of a new mattress replacement. After the third year you will have to pay 80% towards the cost of a new mattress replacement. After the four year you will have to pay 90% towards the cost of a new mattress replacement. After five years you will have to pay 100% towards the cost of a new mattress replacement. 8. Subject to this Clause 7 and to Clause 8, all other warranties, conditions or terms whether made expressly or implied by common law or by statute relating to use, quality, and/or fitness for purpose are excluded. 1. Subject to Clauses 8b and 8c, in the event of any breach of these Terms and Conditions by the Seller the remedies of the Buyer shall be limited to damages which shall in no circumstances exceed the Price of the Goods. 3. Nothing contained in these Terms and Conditions shall be construed so as to limit or exclude the liability of the Seller for breach of the warranties contained in Clause 6 or for breach of warranty as to title and quiet possession implied by the Sale of Goods Act 1979 where such Act applies to the Contract. By agreeing to our terms and conditions you agree that we may contact you about sales and other services. Your information will only be used by The Memory Foam Mattress Firm and we will not pass your information on or sell your information. You can opt out at any time by contacting US. 1. We only deliver to mainland UK and Ireland at present. 4. FREE WEEKEND DELIVERY: If you wish to take of use our FREE outstanding weekend delivery service. All you need to do is place your order and fill in the information box at checkout stage and state your delivery option we will then contact you or alternatively contact us by phone or email For more information regarding Delivery, please contact us. 5. DELIVERY TERMS Please read our delivery term thoroughly and carefully. Due to everyday problems on UK roads we are not in a position to guarantee any delivery day or time. All orders placed can be delivered next day or on a chosen day to suit you Monday to Sunday. All deliveries are FREE to mainland UK deliveries to Northern Ireland or Ireland carry a surcharge of £20. We aim to work all of our deliveries around you the customer. 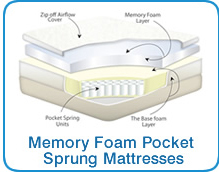 At The Memory Foam Mattress Firm we deliver 7 days a week Monday to Sunday. Deliveries can take place from 8 am to 10 pm. You will be called from a member of our team to confirm a delivery day. We will receive your order in office hours shown on our website. We will receive your info about your delivery when we receive your order.You will ask for your delivery options at checkout stage on our website (Please follow all instructions carefully). Once we have received your delivery option we will contact you to let you know if this option is available. If this is not available wewill giveyou another delivery day to suit you. NOTE: We can never guarantee a delivery day. A day given is an estimate only and is not in the contract. We can not be held responsible for failed deliveries and we do not offer compensation. If a delivery fails due to unforeseen circumstances then we will contact you in office hours to offer you another delivery day. 6. If we are unable to deliver due to the fault of the customer then we may charge £50 to rearrange another delivery. 7. These terms must be agreed to at checkout stage, by not agreeing means you will not be able to proceed with your order, and your order will not be accepted by The Memory Foam Mattress Firm. 1. All returns must be sent back complete with packaging. In most cases we will collect the goods from you and for a small charge, but you may be asked to return the goods yourself by courier. If this happens you are advised to take out some insurance in case of damages through the courier company. 2. NOTE: We must receive the goods with no further defects or damages due to transportation. It is your responsibility to make sure your product is packaged properly. 3. 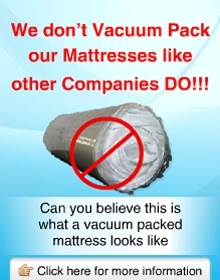 If you fail to do this and the product is returned to our warehouse with further defects or damages your guarantee will be void The guarantee is made void If the mattress has been misused in any way, such as burns, stains, abnormal staining or it is in an unsanitary condition. 4. The moment you receive your goods could you please examine them for damages or defects. 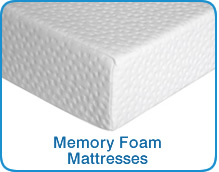 If you find anything wrong with the goods contact us immediately on 0845 388 1719 or email at sales@thememoryfoammatressfirm.co.uk and we will exchange them free of charge if within the first 28 days if they have found to be faulty due to a manufacturing defect. 5. Between 28 days of order and 5 years of your order date: if you notice a manufacturing defect you will need to send the mattress back for inspection. 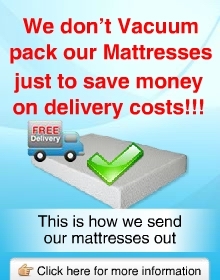 We can arrange for collection of your mattress for a fee of 15% of the price of the mattress when you purchased it or you can send it back yourself for inspection free of charge. If we can confirm the fault then we will give you a Pro rata replacement in line with the conditions mentioned in part 7b of these terms and conditions. 6. If no fault can be found then the item will be sent back to you for a fee of £50. 7. We can refuse to give you a refund or a full refund if we receive goods in poor condition. We must receive all goods in the same condition that you received them. 8. PEASE NOTE: All Refunds can take up to 28 days. This is to give The Memory Foam Mattress Firm time to look into all refunds and to ensure that all refunds are dealt with properly. 1. if you cancel your order more than 24 hours after placing you order there will be a charge of 10% to cover handling and administration. 3. We do not offer a refund on any special size orders (special size orders are anything other than standard UK sizes) our European/Ikea/continental section of our website fits into the special size section as we do not keep stock of these items and they are specialy made upon placing your order. 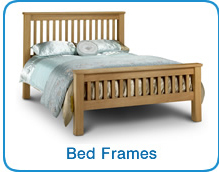 (we keep large stocks of all UK sized mattresses and so they are exempt from special sizes). 14b BUY ONE GET ONE HALF PRICE SPECIAL TERMS AND CONDITIONS If you decide to take up this special offer, during the limited time it is available to you, we would like to make you aware of the terms and conditions as they differ to our standard terms and conditions. * The buy one get one half price can only be delivered to ONE address (if you require delivery to a different address there may be an extra delivery charge applied) if you require a refund on the more expensive mattress that you paid full price for then we will give you a full refund on that mattress minus the collection and administration fee however we would then need a further payment for the half price mattress you received to take that to a full payment. 15. Half Price and Free Pillow(s) , if you buy a mattress with a half price pillow(s) or with a free pillow(s) option you will get one half priced pillow or free pillow with single beds (2.6ft and 3.0ft) and two half priced or two free pillows with double beds and above. please contact us For more information on our Terms and Conditions & Returns and Refunds Policies All terms and conditions are in place to protect The Memory Foam Mattress Firm. If you do not agree with our terms and conditions we will not accept your order. If you have any queries please contact us. All terms and conditions are in place to protect The Memory Foam Mattress Firm. If you do not agree with our terms and conditions we will not accept your order. If you have any queries please contact us.